Home / News / The new version of Fujinon XF 35mm f/1.4 R with faster autofocus. A while ago we talked about the possible launch of a revised Fujinon XF 35mm f/1.4 R. Though we were not informed of any concrete information regarding changes made over the original version. Today we have learned from rumors about Fuji. That the rumored XF 35mm F/1.4 “Mark II” will have as its primary change a better upgraded autofocus than first offered on the original version. 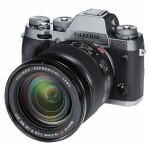 This will put it on the same level as the XF 23mm f/1.4 and XF 56mm f/1.2 which contain a motor that is quiet and fast. According to the source of the Fuji rumors it is not likely that there will be a change to the optic scheme of the lens. Although we sincerely believe that there will not be a lack in the variations of any aspect demonstrated by its adequate solvency. Previous Oppo N1 Mini, more compact, maintaining a Rotating Camera.